Matthew 11:28 NKJV Come to Me, all you who labor and are heavy laden, and I will give you rest. Matthew 11:28 WEL Come to me, all who are exhausted and burdened, and I will give you rest. This well known passage spoken by the Lord Jesus is still wonderful in its meaning and applications. Matthew 11:25-30 is a prayer and message from the Lord Jesus. B1 He begins by praying. Prayer is not that difficult activity that many people make it out to be. Like my daughter states, “People have a way of making God’s ways complicated.” Prayer is simply talking to God, our Father. B2 In His prayer, He thanks His Father that the Gospel is easy to understand. It is not complicated that it needs specially gifted intellects and thinkers to study, understand it, and then communicate it to us. It is easy enough for children to understand. B3 Next, He mentions how good this is, which reminds me of God’s creation (before Adam’s sin) was judged to be good (Genesis 1:31). B1 The Lord Jesus then speaks of what Arminians label prevenient grace. B3 No one can know God, Father or Son, unless God reveals it to all people (Romans 3:10-18 and John 16:8-10). B4 It is simply impossible for humans to seek or know God, unless God reveals Himself but opening the heart and clearing the mind and understanding (Acts 16:14, John 1:9, and John 12:46, etc.). C1 The word come is imperative; it is emphatic. Often, the Bible speaks of obeying or disobeying the Gospel. If we obey God’s, “Come,” we are wise, but the disobedient are foolish. Compare Romans 10:16, 2 Thessalonians 1:8, and 1 Peter 4:17. C2 God does not give an invitation that is not genuine. He comes to seek and save the lost, and all people are lost (Luke 19:10). C3 The word for labor (exhausted) is κοπιάω kopiáō Strong’s G2872. It means to work until one is worn out, exhausted. This word, for instance, is used by Peter in Luke 5:5 NIV Simon answered, “Master, we’ve worked hard all night and haven’t caught anything. But because you say so, I will let down the nets.” So, the burdened writer states in Psalm 38:4 WEB For my iniquities have gone over my head. As a heavy burden, they are too heavy for me. C4 The word for heavy ladened (burdened) is φορτίζω phortízō Strong’s G5412. It means be weighed down, overloaded with a burden too heavy to carry. D1 Genesis 42:21 NASB Then they said to one another, "Truly we are guilty concerning our brother, because we saw the distress of his soul when he pleaded with us, yet we would not listen; therefore this distress has come upon us. D2 Psalm 51:2, 9 CSB Completely wash away my guilt and cleanse me from my sin. ... Turn your face away from my sins and blot out all my guilt. C6 The word for rest is ἀναπαύω anapauō Strong’s G373 which means to lie down and relax, to be at ease, to rest. The heavy burden is not being carried any more. We cannot do this our self; it is the work of God who can. C7 It is rest that we long for. If we come, he will give us rest. This is the rest from guilt. Life still will be tough. The world does not like the Jesus of the Bible. I read the other day that on the average 115 Christians die every day for the faith, but they still have rest in their souls. C1 The word take is also a command (imperative). C2 God does not just forgive us but gives us a responsibility, too. C3 Our former Master and slave owner is the devil. He is harsh and controlling. Beware of people and pastors like that. D1 John 8:44 NLT For you are the children of your father the devil, and you love to do the evil things he does. He was a murderer from the beginning. He has always hated the truth, because there is no truth in him. When he lies, it is consistent with his character; for he is a liar and the father of lies. D2 The Lord Jesus came to destroy the devil’s work. 1 John 3:8 NLT But when people keep on sinning, it shows that they belong to the devil, who has been sinning since the beginning. But the Son of God came to destroy the works of the devil. C4 A yoke is referring to the yoke of animals to control and work. Instead of a heavy yoke and unbearable work, the Lord Jesus offers us a light yoke and work that we can bear. D1 Luke 6:46 NLT So why do you keep calling me 'Lord, Lord!' when you don't do what I say? D2 John 14:15, 23-24 NLT If you love me, obey my commandments. ... Jesus replied, "All who love me will do what I say. My Father will love them, and we will come and make our home with each of them. Anyone who doesn't love me will not obey me. And remember, my words are not my own. What I am telling you is from the Father who sent me. C5 Vincent (Vincent’s Word Studies) comments: ...though it is impossible to find an English word which combines them all. Christ's yoke is wholesome, serviceable, kindly. “Christ's yoke is like feathers to a bird; not loads, but helps to motion” (Jeremy Taylor). C6 Matthew Henry comments: Here we may find rest for our souls, and here only. Nor need we fear his yoke. His commandments are holy, just, and good. It requires self-denial, and exposes to difficulties, but this is abundantly repaid, even in this world, by inward peace and joy. It is a yoke that is lined with love. So powerful are the assistances he gives us, so suitable the encouragements, and so strong the consolations to be found in the way of duty, that we may truly say, it is a yoke of pleasantness. The way of duty is the way of rest. 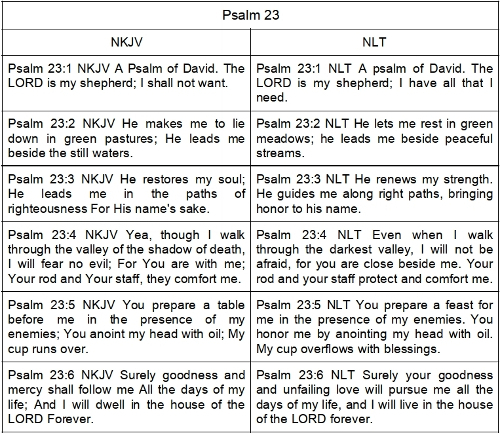 Introduction: Probably no Psalm is quoted from more than Psalm 23. It has been quoted at times from birth through death, from joy to sorrow, from comfort to praise. King David knew sheep well, for he was the family shepherd for many years. The intensity of devotion and reverence for Yahweh is clearly seen in his writing. We must remember that this is inspired by the Holy Spirit. King David was King but also prophet. There are two types of leadership. The best is a shepherd leader. The only other is evil; it is the hunter type. The principle is to build up, maintain, increase health and well-being. Freedom within boundaries is encouraged and maintained. Make clear who is in Charge. The principle is to use them, and when done destroy. There is a lack of freedom. Unfortunately, we see many, if not most, leaders, parents, pastors, husbands, etc. as controlling. There is Christian leadership, pastorship, or marriage. The opposite is a controlling leadership, pastorship, or marriage. God makes sure we do not lack what is needed. What is wanted is not always granted. The word makes appears to be controlling but the Hebrew word is רָבַץ râbats. In the Hiphil, it does not have the idea of forcing or driving them it, rather, it is encouraging. One could almost translate it as have them rest. Song of Songs 1:7 NKJV (To Her Beloved) Tell me, O you whom I love, Where you feed your flock, Where you make it rest at noon. For why should I be as one who veils herself By the flocks of your companions? Ezekiel 34:14 NIV I will tend them in a good pasture, and the mountain heights of Israel will be their grazing land. There they will lie down in good grazing land, and there they will feed in a rich pasture on the mountains of Israel. The Hebrew word is נָהַל nâhal. It means, according to Strong’s, to lead or guide to a watering place, bring to a place of rest, refresh. Again, instead of driving them, the shepherd guides them to the best for well-being. Psalm 31:3 NLT You are my rock and my fortress. For the honor of your name, lead me out of this danger. Isaiah 40:11 NLT He will feed his flock like a shepherd. He will carry the lambs in his arms, holding them close to his heart. He will gently lead the mother sheep with their young. The Hebrew word is שׁוּב shûwb. In the Piel, it means to bring, to restore. The times might be hard, difficult, and tiring, but the shepherd wants the sheep to be restored. Isaiah 58:12 GNB Your people will rebuild what has long been in ruins, building again on the old foundations. You will be known as the people who rebuilt the walls, who restored the ruined houses. Psalms 60:1 NRSV To the leader: according to the Lily of the Covenant. A Miktam of David; for instruction; when he struggled with Aram-naharaim and with Aram-zobah, and when Joab on his return killed twelve thousand Edomites in the Valley of Salt. O God, you have rejected us, broken our defenses; you have been angry; now restore us! The Hebrew word is נָחָה nâchâh. It means to guide and lead forth. Genesis 24:27 NRSV and said, "Blessed be the LORD, the God of my master Abraham, who has not forsaken his steadfast love and his faithfulness toward my master. As for me, the LORD has led me on the way to the house of my master's kin. Psalm 73:24 NIV You guide me with your counsel, and afterward you will take me into glory. Isaiah 58:11 NIV The LORD will guide you always; he will satisfy your needs in a sun-scorched land and will strengthen your frame. You will be like a well-watered garden, like a spring whose waters never fail. [All emphasis is mine]. Food (green pastures) Our food is Scripture. Since God is both omniscient and omnisapient, He can communicate perfectly. The plain, normal sense of interpretation is best. Principles of the Literal Bible Interpretation by Cooper Adams III is very good if you need some principles of Bible Interpretation. God provides, but we must do the reading and the studying. We have no excuses to not do so. Invitation: Revelation 22:17 NRSV The Spirit and the bride say, "Come." And let everyone who hears say, "Come." And let everyone who is thirsty come. Let anyone who wishes take the water of life as a gift. Prophesied: Isaiah 55:1 CSB Come, everyone who is thirsty, come to the water; and you without silver, come, buy, and eat! Come, buy wine and milk without silver and without cost! The Lord Jesus in numerous places spoke of thirsty and God quenching water. John 4:10, 14 CSB Jesus answered, "If you knew the gift of God, and who is saying to you, 'Give me a drink,' you would ask him, and he would give you living water." ... "But whoever drinks from the water that I will give him will never get thirsty again. In fact, the water I will give him will become a well of water springing up in him for eternal life. The soul is our emotions and being. It is the real person in the body. Psalms 107:8-9 NKJV Oh, that men would give thanks to the LORD for His goodness, And for His wonderful works to the children of men! 9 For He satisfies the longing soul, And fills the hungry soul with goodness. Jeremiah 31:25 ESV For I will satisfy the weary soul, and every languishing soul I will replenish. He, the Savior, provides for salvation, not condemnation: Romans 5:17-19 ESV For if, because of one man's trespass, death reigned through that one man, much more will those who receive the abundance of grace and the free gift of righteousness reign in life through the one man Jesus Christ. 18 Therefore, as one trespass led to condemnation for all men, so one act of righteousness leads to justification and life for all men. 19 For as by the one man's disobedience the many were made sinners, so by the one man's obedience the many will be made righteous. Philippians 3:8-9 WEL Yes indeed, I consider everything loss for the excellency of the knowledge of Christ Jesus, my Lord, for whom I have suffered the loss of everything, and I consider them just worthless filth, so that I may gain Christ 9 And be found in him, not having my own righteousness, which is from The Law, but that which is through faith in Christ, the righteousness, which is from God on [the basis of] faith. A shepherd leader is one who will be with us in trials, temptations, sorrows, griefs, difficulties, sickness, death, hurt, etc. The rod and staff are for guiding, not punishment. Fear of the unknown and the uncomfortable are very real. Yet, when God is with us, we don’t have to be fear. He provides a comfort and strength to go through this valley. He is here to comfort: Isaiah 61:2 NRSV To proclaim the year of the LORD's favor, and the day of vengeance of our God; to comfort all who mourn. Even the hard things of life cannot stop His love: Romans 8:38-39 NRSV For I am convinced that neither death, nor life, nor angels, nor rulers, nor things present, nor things to come, nor powers, 39 nor height, nor depth, nor anything else in all creation, will be able to separate us from the love of God in Christ Jesus our Lord. He is ever present, even we do not know it. Psalms 46:1 GNB God is our shelter and strength, always ready to help in times of trouble. We are set free from the fear of death. At the moment of death and earlier, He will comfort. Hebrews 2:14-15 GNB Since the children, as he calls them, are people of flesh and blood, Jesus himself became like them and shared their human nature. He did this so that through his death he might destroy the Devil, who has the power over death, 15 and in this way set free those who were slaves all their lives because of their fear of death. We have hope in our death. Proverbs 14:32 NKJV The wicked is banished in his wickedness, But the righteous has a refuge in his death. The Lord Jesus IS the shepherd, our shepherd, and hopefully, He is yours, too. John 10:11-14 NKJV I am the good shepherd. The good shepherd gives His life for the sheep. 12 But a hireling, he who is not the shepherd, one who does not own the sheep, sees the wolf coming and leaves the sheep and flees; and the wolf catches the sheep and scatters them. 13 The hireling flees because he is a hireling and does not care about the sheep. 14 I am the good shepherd; and I know My sheep, and am known by My own. The sheep are led by many a way, sometimes through sweet meadows, sometimes limping along sharp-flinted, dusty highways, sometimes high up over rough, rocky mountain-passes, sometimes down through deep gorges, with no sunshine in their gloom; but they are ever being led to one place, and when the hot day is over they are gathered into one fold, and the sinking sun sees them safe, where no wolf can come, nor any robber climb up any more, but all shall rest for ever under the Shepherd’s eye. Job 3:10 Curse that night for letting me be born, for exposing me to trouble and grief. Job 7:3 Month after month I have nothing to live for; night after night brings me grief. Job 14:22 We feel only the pain of our own bodies and the grief of our own minds. Job 17:7 My grief has almost made me blind; my arms and legs are as thin as shadows. Psalm 6:6 I am worn out with grief; every night my bed is damp from my weeping; my pillow is soaked with tears. Grief is a communicable trait of God. He grieves and understands grief, so do we. There is loss of joy and sometimes hope. It is a pain of mind affecting the body. A source you may need: Stephen Ministries. Grief is real. Seek for a friend who will listen even professional help may be needed. Maybe Psalm 13 will be of comfort. There are other Psalms for Emotions, too. Psalms 13:1-6 GNB How much longer will you forget me, LORD? Forever? How much longer will you hide yourself from me? 2 How long must I endure trouble? How long will sorrow fill my heart day and night? How long will my enemies triumph over me? 3 Look at me, O LORD my God, and answer me. Restore my strength; don't let me die. 4 Don't let my enemies say, "We have defeated him." Don't let them gloat over my downfall. 5 I rely on your constant love; I will be glad, because you will rescue me. 6 I will sing to you, O LORD, because you have been good to me. 1 Thessalonians 2:18 WEL Therefore, we would have come to you, even I, Paul, over and over again, but Satan hindered us. The context shows Satan preventing Paul and his team of evangelists from coming to Thessalonica. He will hinder us from doing God’s will, enjoying God’s peace and joy, knowing the blessings of forgiveness, and confidence in His promises. We have the potential to be discouraged, troubled, sad, and defeated. Because satan hinders, we must pray. Prayer should be one of the most important times for our worship whether in church with other believers or by ourself in the field. Pray will not manipulate God, but it is our worship of thanksgiving for God’s blessings, supporting our fellow believers in trials, asking for wisdom in our everyday issues, and mentioning our sorrows. We will be hindered, but we can pray. So pray today for others then yourself. Life is rough. (41) "There was a certain creditor who had two debtors. One owed five hundred denarii, and the other fifty. (42) And when they had nothing with which to repay, he freely forgave them both. 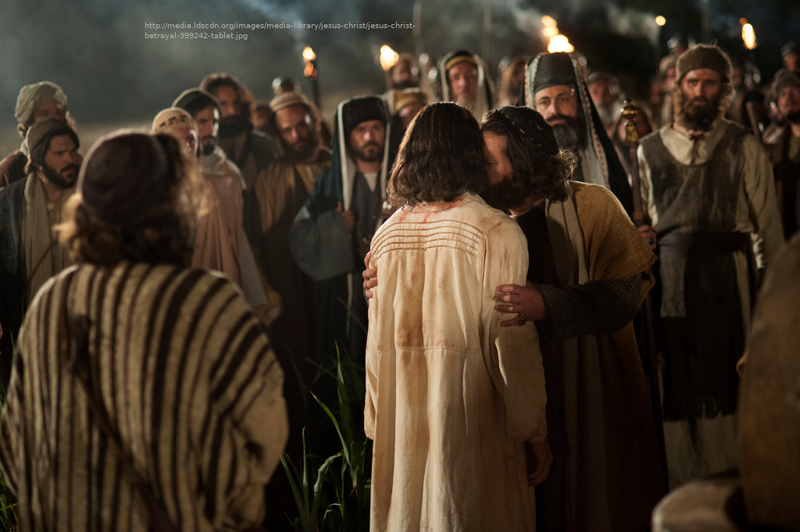 Tell Me, therefore, which of them will love him more?" 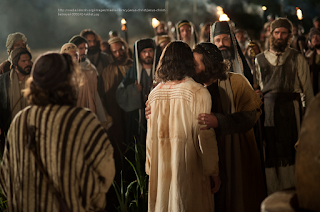 (43) Simon answered and said, "I suppose the one whom he forgave more." And He said to him, "You have rightly judged." (44) Then He turned to the woman and said to Simon, "Do you see this woman? I entered your house; you gave Me no water for My feet, but she has washed My feet with her tears and wiped them with the hair of her head. (45) You gave Me no kiss, but this woman has not ceased to kiss My feet since the time I came in. (46) You did not anoint My head with oil, but this woman has anointed My feet with fragrant oil. (47) Therefore I say to you, her sins, which are many, are forgiven, for she loved much. But to whom little is forgiven, the same loves little." (48) Then He said to her, "Your sins are forgiven." (49) And those who sat at the table with Him began to say to themselves, "Who is this who even forgives sins?" (50) Then He said to the woman, "Your faith has saved you. Go in peace." Jesus forgave this sins before the cross showing us that the OT saints had forgiveness in looking forward to Messiah, our Passover Lamb. The Lord Jesus did not require her to keep the Law or practice it. It is not even mentioned. What is mentioned is "faith," which is believing God. Faith in Jesus brought forgiveness of sins. The Gospel has been, is, and always will be the same. There is only one Gospel. Some have more sins than others. Those who are forgiven much often love more. Jesus can forgive a few sins as well as many sins. Keeping the Law, as the Pharisee did, does not forgive sins. This is because the heart is evil and desperately wicked. We have peace with God, because of the forgiveness that He gives. We are now to obey Him. The Lord is good. Goodness is defined by God. When He creates it is good (Genesis 1:31). The Gospel is good (Isaiah 52:7). It is the opposite of evil (Amos 5:14. (Evil is breaking God's Laws.)). Justice, mercy, and walking humbly with God are given as examples of what God calls good (Micah 6:8). God's character and actions are called good in Luke 18:19. Everything Jesus did is described as good in Acts 10:38. God is good, and He is powerful and lovingly watches over His own. Those who trust Him rather than trust in philosophy, science, government, or themselves find this true. (Psalm 9:10, Psalm 37:3, Psalm 40:4, Proverbs 3:5, and 2 Corinthians 1:9. To help us understand trust we can read Luke 11:22 and Luke 18:9. Those who have put their trust in God surely know and experience this. May this be the life of all people.